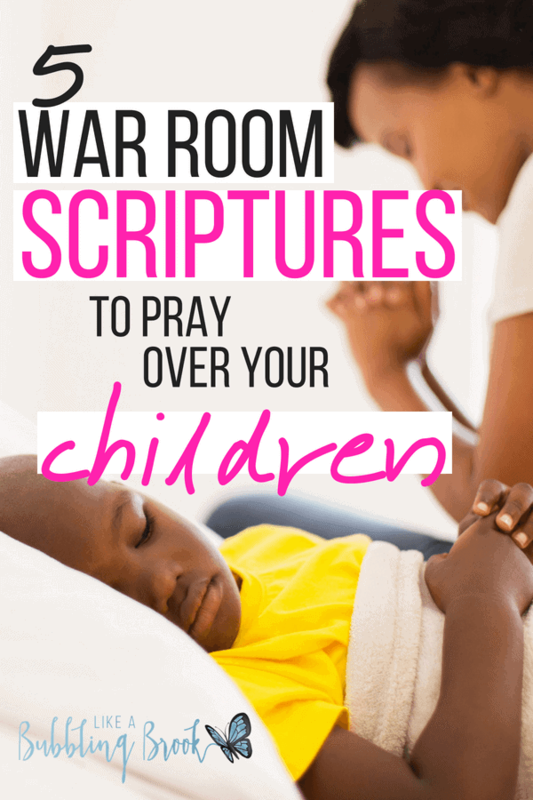 Have you heard of using bible scriptures to pray over your children? I wish we’d thought of this years ago! When our middle schooler was very young, he had a bedtime prayer we’d pray together. It was a prayer he’d come up with on his own and, for some reason, he’d gotten in the habit of saying pretty much that same prayer every. single. night. We knew exactly what he was going to pray before he prayed it. It’s important we pray with our children, but sometimes we don’t know how to do it or what to say. Sometimes we need a gentle nudge to try a new approach. Maybe you’re in this place right now? If you’re searching for fresh ideas to use in prayer time with your children, try leading them in prayer by using Bible verses as your theme. Here are a few ideas to get you started! Pray for a heart of repentance as they grow and for the Holy Spirit to fill them and permeate their life. Salvation is a promise available to “you and your children” (verse 39). That’s exciting! Be excited about this promise as you pray! Pray for them to have a deep love for the Word of God. May they delight in it and meditate on it day and night. May they find it more precious than gold and sweeter than honey. Pray for protection from evildoers, protection in both their body as well as in their mind. Pray for protection online and from images they may come across on social media, the web, in books, or in magazines. Related: Looking for protection on the internet? My family uses (and recommends!) Covenant Eyes. Pray that their steps are ordered by the Lord, and that He directs and guides them throughout their life (long term) and during school, church, etc (short term). Pray that they have a heart for the things of God and seek His direction as they grow up and begin making more choices on their own. Pray a prayer of thankfulness for the children He has given you, and let your children hear you express gratitude for them. Prayer can be a powerful muscle in your family’s spiritual life. Be sure to exercise it daily and you’ll grow stronger in Him! What ideas do you have for scriptures you can pray over your children? Add them in the comments! God bless you!! I was so discouraged and distraught struggling with my 8 year that the school has deemed that he can’t sit still and has totally destroyed his self esteem. After reading your post I am blessed and just so happy to have my high energy fidgety boy just the way he is. I continue to pray it, and will also implement the ones you shared.